Adjusting for voice chat basically means instant tinnitus from all the gun fire and explosions in the game. I'd really like to see an SFX slider feature so I can actually hear people when I play the game at its intense moments. Day of Infamy particularly had weapon skins based on the Steam achievements of the total amount of kills you got with the weapon. For instance, the killing 800 people with the M1 Garand rewards you with a different stock, darker stock. Killing 200 people with headshots rewarded the player with a piece of cloth wrapped around the front end of the firearm that was exclusive to them. This gives the players an incentive to complete the achievements and also rewards them for their hard work. The reward was something that was unique compared to everyone else's rifles and gave the players a sense of accomplishment. This can also give the player more content to unlock and progress throughout the game of Sandstorm, potentially adding more 'meat' or sustainability to the game for the long years to come. 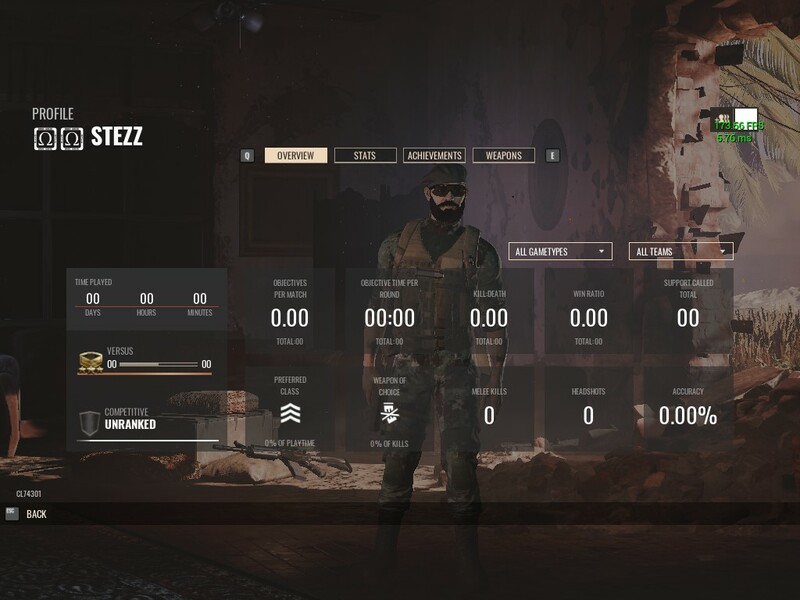 Capturing 500 objectives with an Holographic sight - player has the option of putting on the tan variant of the holosight that is found on the SCAR-H and MK 18 on black holosight weapons such as the G36K, M4A1, M16A4, etc. Capturing 250 objectives with an M16A4 - rewards the player with the iconic round handguards of the M16A2 when no foregrip or bipod is attached (which turns it into the rail handguard). Notice the examples make use of assets already in game - I have suggested specifically so that assets can be reused and that little modelling or animation changes have to occur. Therefore, the new system of rewards-based-on-achievements can be added in with minimal effort to the visual department and more so based on coding the thing in. We know that the workshop from Source had a wide variety of reskins, make overs, new animations, overhauls, etc. for most players to tailor visual elements to their pleasure, so why not incorporate the workshop into the game to allow workshop contributors such as modellers and texture artists create something that places in more content for the game? Custom maps, game modes and mutations. An example of this would be a heavily scripted COOP map, a go-kart map, an 'Infection' game mode and a mutation which makes the bots 50% more beefier to tank damage. Custom maps which are submitted for evaluation to be folded into Sandstorm's map pool, to be evaluated by staff at NWI. This has been done by Team Fortress 2 and Rising Storm 2 (?) to a great effect where many maps have been placed into the map pool to add variety. 3. Custom models and weapon reskins which are submitted for evaluation of quality and then placed in the game as a new cosmetic item or even potentially as a new weapon. Team Fortress 2, CSGO and Chivalry Medieval Warfare have done this to a great effect where the items are produced by members of the community and then submitted to the game. For example, someone makes an uncovered PASGT helmet model for the Security side, submits it, and if it meets quality standards (and other standards like how identifiable from Sec to OpFor it is), it is placed into the game in the cosmetic list (with a little tab that says Community Items) with the rarity + credit cost set by the Devs. Would be much nicer if you asked for a KAG and a 'mini smg' and provided what roles they could fit / what they could fit in as instead of asking 'can we have x'. What is the Turtleshell supposed to be? Is it an uncovered PASGT helmet? Also I've noticed that some helmets (such as the 'Bump' but also the Boonie) lack chinstraps compared to the PASGT and the High-Cut. Are there any plans to address this? I know this may be trivial but it feels rather out of place. I have not seen the option lying around anywhere. Players are incredibly hard for me to hear due to the amount of explosions, gunfire, et cetera that goes on. Perhaps an optional audio ducking or sound balancing system could be set in place so that players can adjust their volume and hear teammates. The sliders could be separated and grouped accordingly so it cannot be abused by heightening audio such as footsteps. The sliders could be grouped according to game effects (explosions, gunfire and footsteps), weather or ambient music and finally voice chat. This has been present since the original Insurgency because it is a highly competitive and frustratingly hard game and frankly I do not know how you have survived your 1200 hours. Also have you considered to simply ignore them - as in discard their words and shrug them off? It seems to work fine for me.